I went to our local park this evening for wildflower pictures. 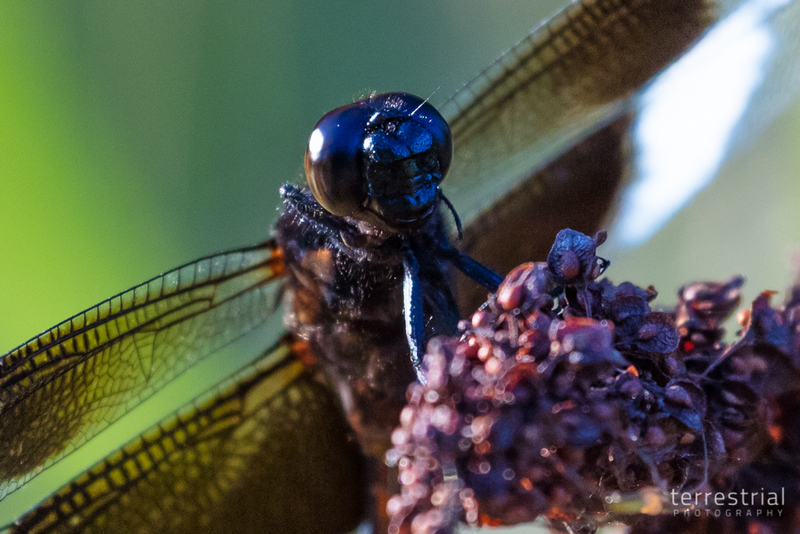 I got distracted by the far-more interesting and challenging subject of dragonflies. 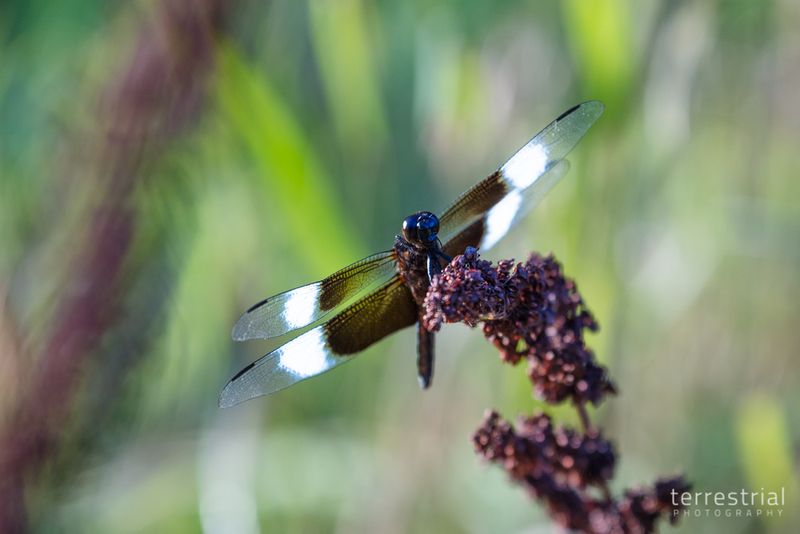 Below is an example of what the 50.6 megapixel Canon EOS 5DS can achieve. I've had this camera for two years, and the resolution still impresses me.